Crystal Inn Be sure to check out our many types of name badge holders. We certainly enjoy manufacturing custom name badges of all types. 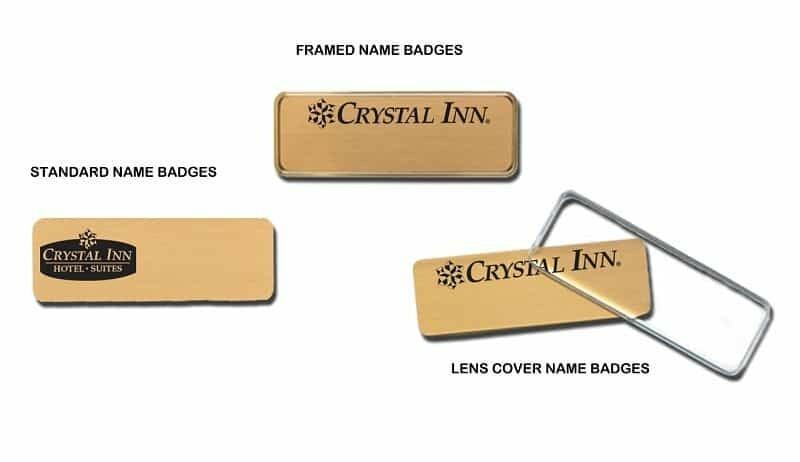 These are samples of logo name badges we’ve done for Crystal Inn.